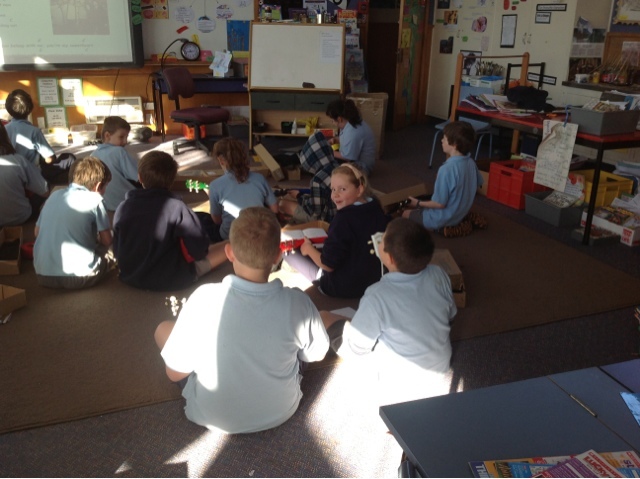 Room 2 is doing ukulele with Ms Bell.This friday there is going to be a ukulele jam. All of room 2 is going to the ukulele jam. Ukulele practise looks quite fun. I have used a ukulele and I am learning to play Blue Smoke. How many songs can you guys play on the ukulele? How many kids are in your ukulele group? Do you have a special music room? Is Ms Bell a music teacher or a classroom teacher? Room1 has done ukulele too. How long have you been doing it and how many songs do know? I really like your ukulele post because we learn't how to play the ukulele. We hope you have a sun time at the Ukulele Jam. We can't wait to hear all about it.